We love a good giveaway, and we love it even more when different companies get in touch with us to offer our readers a chance to giveaway their software. A couple of weeks ago EaseUS got in touch with regarding some of their software. 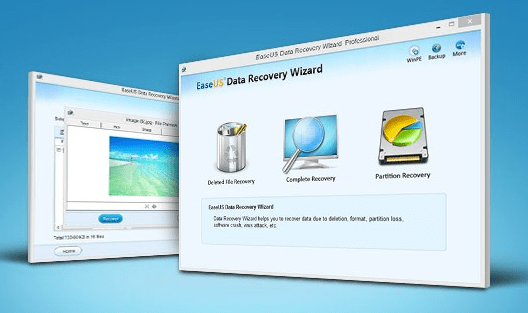 EaseUS data recovery make all sorts of utility software, including back up software, data recovery software, and other utilities such as partition tools. The software comes in both PC and mobile flavours as well, which means all kinds of information can be backed as well as restored. The software in focus is the data recovery software, which comes in both Free versions as well as a paid version. Issues such as deleting, formatting, software crash, hard drive damage, virus attack, partition loss and others are catered for. It includes a three step process that lets you retrieve whatever you have lost. Three options are also available in how you recover your data: Deleted File, complete recovery, or just partition recovery. The free version allows recovery up to 2GB. So, if the idea of the free giveaway software sounds good to you, you have come to the right place. EaseUS have promised our readers five copies of their brilliant Data Recovery software. All you need to do to enter is leave a comment below on the Facebook post. Since this is a software, the offer is open to all of our readers around the world, though we do ask only readers above the age of 18 enter. You have until the end of 29th of June to enter this competition. The competition has now ended. We will be getting in touch with the winners soon. I find this post interesting to note about EaseUS data recovery which makes all sorts of utility software, including backup software,data recovery software and other utilities such as partition tools.The software is available in both PC and mobile version which means all kinds of information can be backed as well as restored. Having lost data in the past this would be perfect. Oh!!! Good to know that softwares also have been launched for making the computer Data Recovery Services task easy for both company & its clients. good news,glad to knew this news,and i do not need be afraid for losing my gf’s picture.